Flights from Toronto to Kuala Lumpur, Malaysia are available for just $695 CAD roundtrip including taxes. 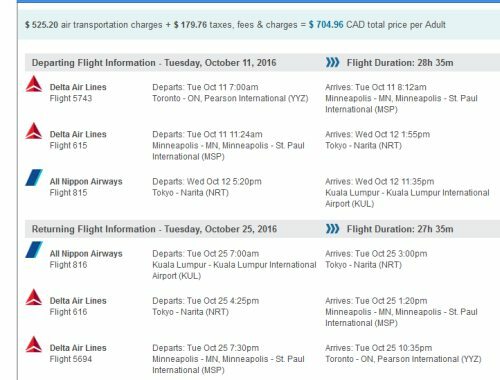 There are also flights to Kota Kinabalu for $700 CAD roundtrip including taxes. 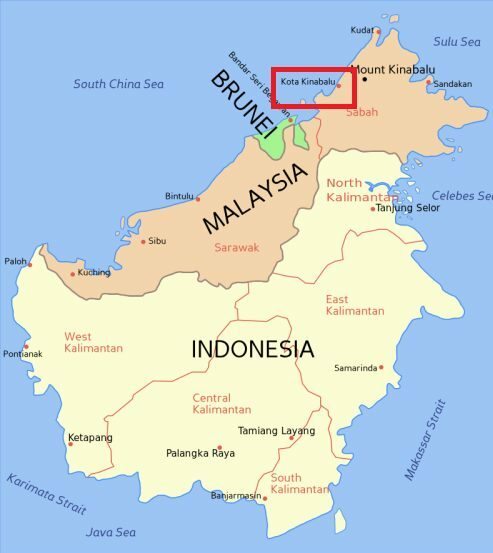 Kota Kinabalu is a coastal city, partly surrounded by rainforest, located on the island of Borneo, in Malaysia. This is 47% below the typical best roundtrip price between Toronto and Kuala Lumpur. And an incredible 62% below the typical best roundtrip price to Kota Kinabalu. There are a number of places in SE Asia you can fly to from Kuala Lumpur for $70 or less, using AirAsia. Kuala Lumpur (KUL) : Late August, September, October, November 2016. Late March, April 2017. Kota Kinabalu (BKI) : Late September, October, November, first half of December 2016. January, February, March, April, May 2017. March through October is generally considered a good time to visit Malaysia. 2. Select your flights on Google Flights, and then click through to Flight Network for booking. toronto, yyz, flight deals, delta, asia, southeast asia, kuala lumpur, kul, malaysia, kota kinabalu, borneo and bki. 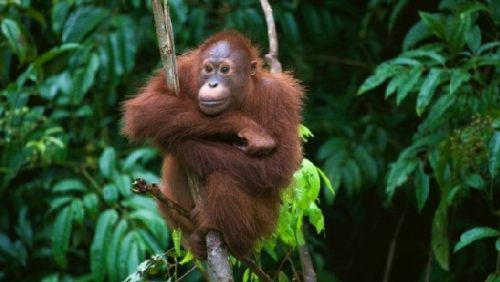 2 Responses to "Toronto to Kuala Lumpur, Malaysia - $695 CAD roundtrip including taxes | Kota Kinabalu (Borneo) for $700"
Actually, I was easily able to find return flights for $705 within the promised dates. Just booked 2 flights to Kota Kinabalu! The prices are valid. I spoke to a Flight Network Customer Service Rep who told me the same thing - that the prices were not valid. After doing a few searches, however, I was able to find the price at $710 on dates that we wanted. If you book online, the deal works! Side note: there is currently a travel advisory warning against traveling in Sabah (the region that Kota Kinabalu is in). The warnings are mostly about the eastern coast and Sandakan. For a few years, there has been an issue with kidnapping of foreigners and petty crime by pirates and terrorist groups. Most of the activity is along the eastern coast, so perhaps make plans to travel southwest!